Andy Lambert took his second career PCC Trucks victory at Chicago Twin Speedway on Friday after missing a pileup coming to the scheduled-distance checkered flag. Lambert started third in his #34 Z-Line Designs Toyota Tacoma and ran near the front throughout the day, being one of the four trucks left in the lead pack during the final stretch of the race. 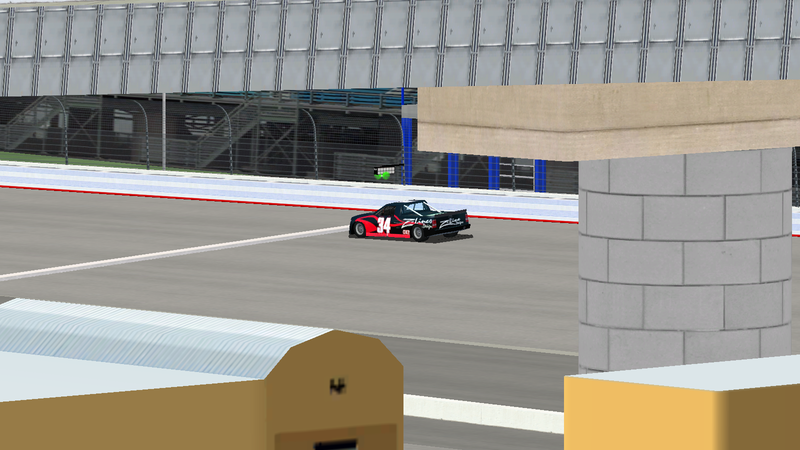 On the final lap of the race's scheduled distance, Lambert slipped back to fourth, but coming out of Turn 3 leader Will Crawford made an absurd maneuver to block second-place Ryan Jefferies by pulling down into his side. Jefferies and Crawford slid sideways up the track into the path of third-place JC Carpenter, who was unable to avoid the accident and suffered heavy front end damage. Lambert wisely dove into the pits as the incident was taking place, and pit his car as the caution was coming out. Because of this, he did not pit under caution, and restarted as the leader during the Overtime Dash. Lambert held off a hard-charging field to take the win. This win comes in Andy Lambert's fourth Trucks series start, and will be his last start until Indianapolis Raceway Park in September due to PCC Cup commitments. Lambert moves up to fourth in points despite missing two races this season and puts his team at the top of the Team Points headed to Richmond. Despite the controversial finish of the PCC Trucks Round of Chicago, Australian driver Zachary Fitzwater was all smiles after the race. Fitzwater qualified tenth and managed to climb as high as seventh before the last-lap controversy at the front of the field happened. 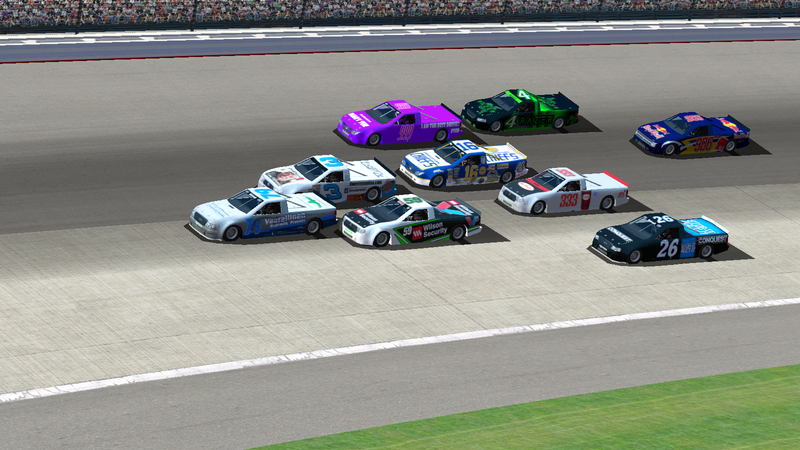 The #59 Wilson Security Dodge RAM made it out of the pits in sixth for the Overtime Dash, and Fitzwater made a diving move into Turn 1 to pass a multitude of cars and work his way up to second place. He would hold off Ryan Jefferies and bring it home second, his best finish of the year. Fitzwater had shown speed in the past, most notably at Nelson Ledges, but had been unable to put a full race together up until now. Hopefully this finish will be the turning point of his season. With this finish, Fitzwater moves up to thirteenth in points, four points behind twelfth-place Jack Hanson and 49 points behind points leader Ryan Jefferies. Fitzwater Australia Racing currently sits fifteenth in team points. - 15 points for causing an avoidable collision. I eat the weeb pizza.